The Chair is working with the Faculty of Applied Science to create innovative new courses to put engineering into local and global contexts. Global Engineering Leadership is designed to introduce senior engineering students to concepts, theory and practice of engineering leadership in an international service learning context. The course will develop engineering leadership characteristics, understanding and respect for individual and cultural differences in team building, service and management contexts, managing change, conflicts, and crises; and understanding real-world ethics and core values. Appropriate implementation of engineering projects is not just about a technical solution, it also involves understanding and adapting to the social, cultural, economic context. As such, the course content has been designed from an inter-disciplinary perspective. The course will develop leadership characteristics for engineering projects such as: understanding and respect for individual and cultural differences in team building, service and management contexts; managing change, conflicts, and crises; and understanding real-world ethics and core values. The goal of this course is to provide students with leadership education, and engineering service experiences to hone their essential skills and enhance the service ethic within their professional development. 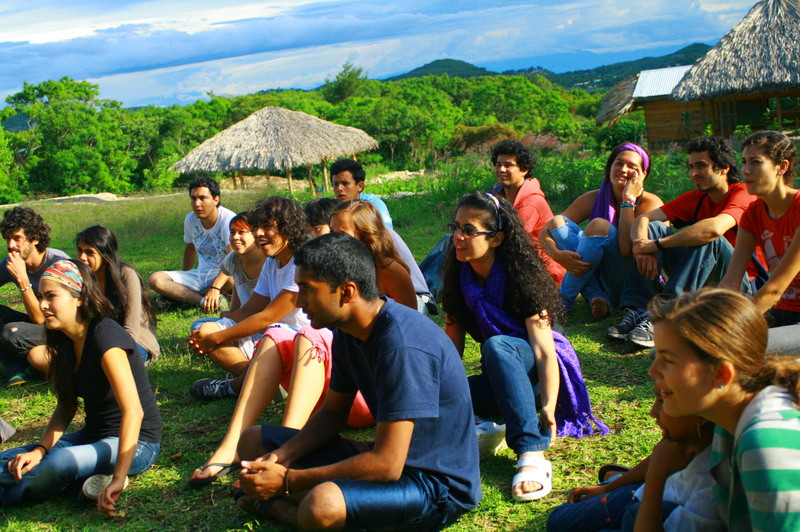 A 7-week International Service Learning program in Mexico, working with our community partner Tsomanotik, an ego-agricultural center for just and sustainable community development in Chiapas State, Mexico. Projects involved may focus on small clean energy development (solar panels and wind power), water and energy usage reduction in agriculture using appropriate technology. Solar hot water heater: improving the design of a prototype, installing on a new building. Alternative energy production: feasibility studies, design and potentially building / testing of either a pedal-powered or run-of-river micro-hydro project. Solar evaporator to produce nitrogen-rich fertilizer: feasibility study, design, developing a prototype, building and testing. Sustainability and appropriate technology camps for kids: designing and leading a ‘summer day-camp’ program on-site for children and youth from the nearby community of Tzimol. Sign up for the ISL practicum portion (July/August) in Mexico is available at the UBC Go Global Website. APSC 461 can be registered for through the SSC – limited space is available.